trans·plant verb past tense: transplanted; past participle: transplanted tran(t)sˈplant/ move or transfer (something) to another place or situation, typically with some effort or upheaval. It seems that, for the past several years, there's been a movement back "to the farmhouse." I was first pulled in by the phenomenon that was "Fixer Upper," where JoJo & Chip Gaines flipped homes and turned ALL kinds of homes into a modern day farmhouse - whether or not the house was founded on literal farmland. The movement, though, is about something so much bigger than an actual house. Or the layout and decor of it. It's much more about the concepts, beauty, simplicity, and personality of a well-loved place from days long gone by. Something held snugly in between tales of times gone by and the expectations of all the future offers. A spot that is less about the farm, and more about the house. For a lot of us - me included - it's a "back-to-our-roots" movement where families simultaneously move toward more sustainable options and sustainable, healthy connections to one another. Whether we reside in urban city blocks, suburban neighborhoods, or wide open spaces we like to call "the country," we are more mindful of who we love and how we are choosing to live this one life we've been given. We love and lead more intentionally. We prioritize according to what is best for those we love most, instead of what is most "urgent." Toward the end of 2018, I realized I'd spent the better part of the year living my life according to the urgent, and not necessarily what (or rather who) is most important. Our family - children, grands, my parents, and friends. I was spending the least amount of time with the ones I love the most. This wasn't intentional...which is my point, I guess. I was catering to the to-do lists and the busyness of this season of life. Instead of savoring each morsel of this extraordinary life, I was prisoner to schedules and the clock and the calendar. It wasn't that these things and activities weren't important; they were and ARE. My issue lay with how I organized my time and my abilities. It had to do with taking better control of my schedule and learned to say "no" to the things that weren't necessary, and yet robbed me of time with my loves. There weren't any New Year's resolutions for me this year, but there was an intentional pivot. I chose PRESENT as my word of the year. Not as in gift, but as in being present. In the moment. Aware. Present for the important events. The important occasions. The important people. I'm trying to stay the course, and stay true to this pivot. Be at all the grands' special events. 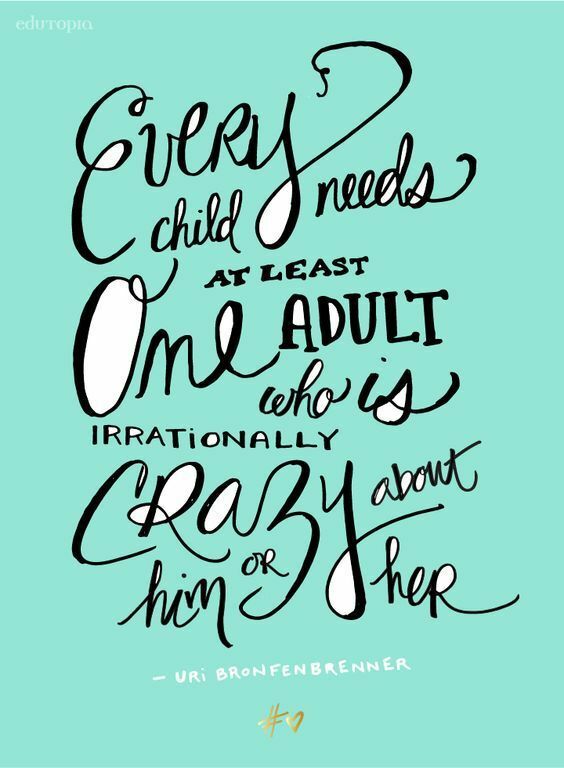 Cultivate an even deeper relationship with each of our kids. Communicate more. Laugh often. Call friends. Celebrate the everyday as well as the big stuff. It's a matter of coming full-circle. Living an authentic lifestyle, where family values come first, ingredients are pure and simple; where we not only know our neighbors, but call them friends, and where spending our time well trumps to-do lists. I appreciate the ability to work hard and run a business. I'm proud of my career as a teacher. I'm beyond thankful that I've been blessed to do both over the past several years, and that the business, which is my passion, is doing so well, and that teaching - which is my calling - still fulfills me. Even though it's time to choose - and, of course, I've chosen the B&B, I know that teaching and my students will always be a part of who and what I am. I appreciate all of this...the figurative move toward the simple things. I also cherish the move toward the literal simple things: mason jars, shiplap, big front porches, open windows, and a good quilt on the bed. I love homemaking and decorating, finding ways to make our home reflect the things we care most about. I love beautiful sunrises and gorgeous sunsets, and love them most from my own front porch. 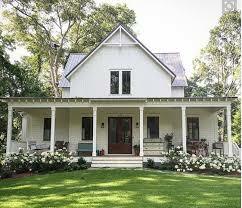 I like this farmhouse movement. This is a movement toward happier homes and healthier families, both literally and figuratively. Finish line in sight, y'all. But I'm walking it, not racing. This is Wednesday of Spring Break. I almost typed Tuesday, because - truly - I'm not keeping track other than to make sure I keep up with the B&B reservations. For everything else, we're on teacher on SB time. That means, if an activity requires normal clothes, chances are good you might not do it. It means, no ALARMS. Okay, that's not true for me because...duh...guests still expect a delicious, hot breakfast at 9am, but my 5:15 alarm has been replaced with a 7:45 one. That means an extra TWO AND A HALF HOURS, y'all!! As much as I am relishing SB 2K19, it hasn't escaped me that this will be my last one. This time next year, it will just be another work week. No more of that escalating excitement as The Day We Get Out draws closer and closer. But also no more of the hyper students, silly drama, and rotten attitudes that increase as That Day approaches. Haters gonna hate, and teachers gonna teach. As this final school year begins to wrap up for me I am finding that I wax nostalgic one moment, only to be quickly followed sheer laughter at some of the memories that flood my mind these days. I've always been fortunate to teach with amazing teachers, but it wasn't until my 3rd year of teaching that I became a part of a TRUE team. One who laughs together, gripes together, and occasionally cry together. Then I began my 4th year of teaching and met my fellow teacher spirit animal - Amy. Over the next three years, we became as ONE when it came to the classroom. There was 100% trust and honesty between us, and we LOVED collaborating over vertically aligned lesson plans, crying over essays that quite literally rent our hearts in two, and laughing hysterically when our bodies crossed over that "you're too tired" line and we found ourselves having to remove ourselves from our own classroom and take refuge in the other's - just to collect ourselves. It was the beginning of a beautiful friendship, and the friendship is STILL growing, even though we haven't taught together for a few years now. When I changed districts a couple of years ago, the thing I feared the most was that I would lose the close camaraderie that I by now so desperately needed. I shouldn't have feared. For it was here that I met Haylie and Betsy and Telly. I'm fairly certain we drove a certain segment of the school nutty with our crazy ways, inside jokes, and fierce loyalty. But we were a team, and a formidable one at that! I love these ladies more than life and - even though I taught there just a year before coming back to my hometown school - it was the Single. Best. Teaching. Experience OF MY LIFE!!! I've found myself reflecting on so many classroom experiences these past few weeks. Tajawin Smith has been on my mind. My very first year of teaching and - already skittish, insecure, and nervous, his presence in my 5th period class was a source of total and complete misery for a good 6 weeks. Six weeks where I would barely escape the door of the school and scramble into my car before the floodgate of tears spilled over. I would then drive through the tears and wait for my brother's phone call, which almost always came about the same time each afternoon on that drive. He would "talk me down," remind me that my value was not based on what students thought of me, and that I was on my way home to those who loved me. I can laugh at this now, and do...but I also smile each and every time I hear Tajawin's name or glimpse his graduation announcement (both his high school AND his college one) on the bulletin board in my current classroom. Ty (as I called him) forged what would become one of the strongest and most trust-worthy teacher-student relationships of my career. Day after day after day, I would see him in the hallway and call out, "Hey, Ty! How're you doing?" I did this many days when I in no way whatsoever felt it. The magic of teaching is this, though. All students want, and all we teachers want, is respect. Once you have that as a foundation, all other things positive can take root and grow. Kids aren't interested in what you know until they know you care. So much truth in this! A couple of years after I left the district where I taught Ty, I received a letter at my present school - from...you guessed it! He acknowledged the rocky start we had, but then referenced how he looked forward to walking past my doorway every day when I would call out his name and see how he was doing. The glory was I came to love Ty fiercely and I've rejoiced over every accomplishment he has made. THAT is why we teach, to all the folks out there who just don't get it. I have so many students I could write about. I'm still in contact with so, so many. No matter where I run into them or see them, or no matter when and how they reach out to me, it does something magical to my heart to hear their voice, share their struggles and their victories, and get to know them as the great adults they grew into. The day of a teacher most days goes something like this: It's almost two pm; you had a meeting during your conference period that you forgot about, so ran into late and out of breath. You've already helped a student through a bloody nose and another one through a panic attack. Your 20 minute lunch turned out to be a non-lunch because a lone student shows up and wants to talk about his or her grade. You REALLY have no patience for this, but it's not in you to ask them not to bother you during those precious twenty minutes. In your first after-lunch class, you slip a package of cheese crackers to a student who is hungry because they had no lunch, and no money to buy it. You listen patiently to a loooooong story another tells because it's obvious school is their safe place, and they place they know their stories have a home. It's 2 pm when you see your principal about to walk into your classroom and realize you never did finish writing your "We will, I will" statements on the whiteboard...primarily because your last whiteboard marker ran dry and you never did find the time to hunt down another. Your principal sees kids talking, working on different things and you worry that it looks like one hot mess. You may be the only one (besides the students, that is) that knows it's anything BUT a hot mess. It's a learning classroom, an environment where students not only thrive, but flourish. They are safe, they are heard, they are fed, and they are getting the "we will" and the "I will" done. Mainly because they listen to you. They respect you. Because you know their name. You use their name, and often. You give side hugs and big smiles. When you feel it and especially when you don't. I've been thinking about love relationships a lot lately. A lot of the reason why, I'm sure, is because of my own love. My marriage to my guy. I think about what our love looked like back in the beginning, the way it looked in the middle of raising teenagers, how it looked as we embraced an empty nest, and - especially - the way it looks today. In every stage we've loved. Truly. Madly. Deeply. Around the time we married the band Savage Garden came out with the song by this name. For a long while, it was our song; so reflective of the acknowledgment of both our pasts, and appreciation of having found one another. I looked the original music video up a few days ago and let my mind review the past twenty years. As a teacher of high school, sometimes I am so saddened by what this age bracket views as 'love.' I guess when I was their age my friends and I weren't much different. Love is beautiful in all its stages: the wildly exhilarating beginning, the team-building middle years, the ups and downs, highs and lows, the sick times and the healthy ones. Love, though, isn't always about romance. And it's not confined to intimate relationships. 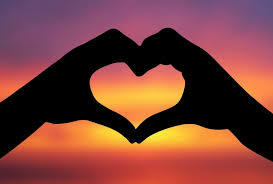 We all receive and give love in so many different ways to so many different people in our lives. And I think we can all agree we all need love. It's absolutely necessary to having a happy life. We need our significant other, yes, but we also need friends. Family. Our kiddos. Our grands. I certainly would never call myself an expert on love, but being one half of a healthy, flourishing marriage has helped me to realize a few major point over the years. First, you have to love yourself. We all come from different backgrounds. Some of us grew up in a loving and encouraging family, and some of us didn't. We've probably all had some kind of relationship in our lives that has left us feeling hurt. You can't control your outside circumstances. I wish we could. What you can control is your own choices. It can be hard to love when you feel broken. If you don't come to any relationship (romantic, friendship, family) whole, you end up (1) asking others to fill in the broken pieces or (2) shutting them out completely. You first have to love yourself. Someone very wise once pointed out to me that God instructs us to "love others as ourselves." Way too often, if we're honest, we'd love others in a totally lousy way if we truly abided by this scripture. And yet, it's what we should do. Then, and only then, can any of us offer relationships our strengths rather than looking to them to fix our weaknesses. We all have the power to make this decision no matter what hand life has dealt us. Be someone you would love. It is always easier to blame others. Always. Always, always, always - no matter your age or your stature in life. What's hard is looking inward to ourselves and realizing that maybe it's us who needs to change. Before you have amazing relationships you have to be someone you would love. Be the mother you would want. Be the friend you want. Be the spouse you want. This is a lifelong process the important people in your life will help you with if you are open to it. Stop focusing on others' shortcomings so much and instead work on yourself. Don't hold back. Don't hold grudges. Go all in. We've probably all been hurt before, and I'm not saying we should ignore those situations. We need to learn from the unhealthy ones and seek to avoid repeat mistakes. But. Don't let past hurts prevent you from making new relationships or falling in love. This almost happened to me. I was hurt and felt justified in my unwillingness to forgive even though my circumstances had changed. And this attitude nearly prevented me from being ready for my future husband...my now husband. My partner, my love, my guy. Don't be afraid to love deeply. Be open. Be brave. 4. Choose your important relationships. I truly believe that we should love everyone. An attitude of love to your fellow citizens is a great way to live your life. Can you imagine what the world would be like if everyone did this? However, this does not mean that you should open yourself up to being hurt over and over again. Choose the people who you cultivate important relationships with. If someone has continually been a negative influence in your life, or doesn't treat you the way you deserve, then they should not receive the privilege of being one of your close relationships. Focus on the positive influences in your life. Love them deeply (see point 3).You don't need to be anyone's second choice. Every important relationship in your life requires attention in order for it to grow. I am so guilty of being that friend who doesn't call back. It is SO easy to get busy with your life, with work or school or whatever you are passionate about and not focus on cultivating the love in your life. I should get dinner with my parents more often. I should get coffee with friends more. I should plan more dates away from the B&B with Mike. If you neglect any relationship it will decline over time. I've had many friends over the years that I've sort of drifted apart from simply because I didn't make time for them. Being a giving and loving person takes a lot of intentional effort. And that's something that I'm working on this year. But good people are worth the time. All the time. Every time. Anyone who knows me well at all, knows I love a good planner/calendar! So much so that I may go a tad bit overboard. I currently carry THREE around with me on the daily! There is a method to my madness though, I promise! The first is our business planner, which I use solely for just that...business. It contains all the reservations for each of the cabins, as well as the venue, plus it holds contact info for all of our brides and their important people. Updated financials are catalogued there on a monthly basis just so I can quickly flip to it at a moment's notice. Yes, this is all on our computer and much of it in our phones, but - call me stuck in yesteryear - I can't help the love I have for hard copy! I've used the same design for the past three years, and have purchased them all from an online boutique through Jane, called So Kali. I'm not posting a picture of it here right now because I'm being just too lazy to snap the pic and upload, but if you're like me and love a great planner plus a little personalization on the front cover, this one's for you! The planners aren't generally listed for sale until around Fall, but she has bill trackers, prayer journals, and much more! Definitely worth a look around! Then bookmark her for your next year's planner! The planner that stays in my purse full-time is my personal one, and also one that contains all of my classroom and lesson plans. I used to do a full-on teacher planner, but finally gave that one up this year and - instead - consolidated it with my smaller, personal one. It's a good one, though, by Agenda 52! I'm pretty sure I picked this one up at Hobby Lobby, and it was either insanely on sale or I used my 40% off coupon! 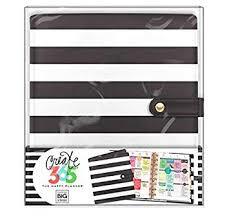 I'm obsessed with this one because you can customize the inserts; that's really the only reason it works so well for my lesson plans, and also for meal planning and shopping lists, too! LOVE it. 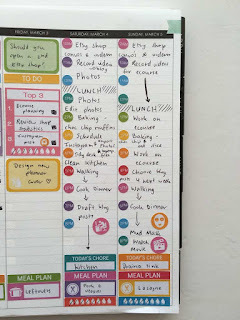 I so did NOT intend for this to be a full post dedicated to my planner/calendar addiction; I meant to gush on and on about my newest one only - the My Next 90 Days by Savor Life. It helps to organize your life 90 days at a time, and truly, TRULY promotes a more intentional way of approaching your busy days. Of course, it helps tons that it's full of inspirational quotes and has very deliberate 4-pillar method: your 'savor life' list which helps keep you focused on what's most important, a 90 day vision, a weekly and daily ritual list, and - finally - a place to organize what they call your "gorgeous chaos." 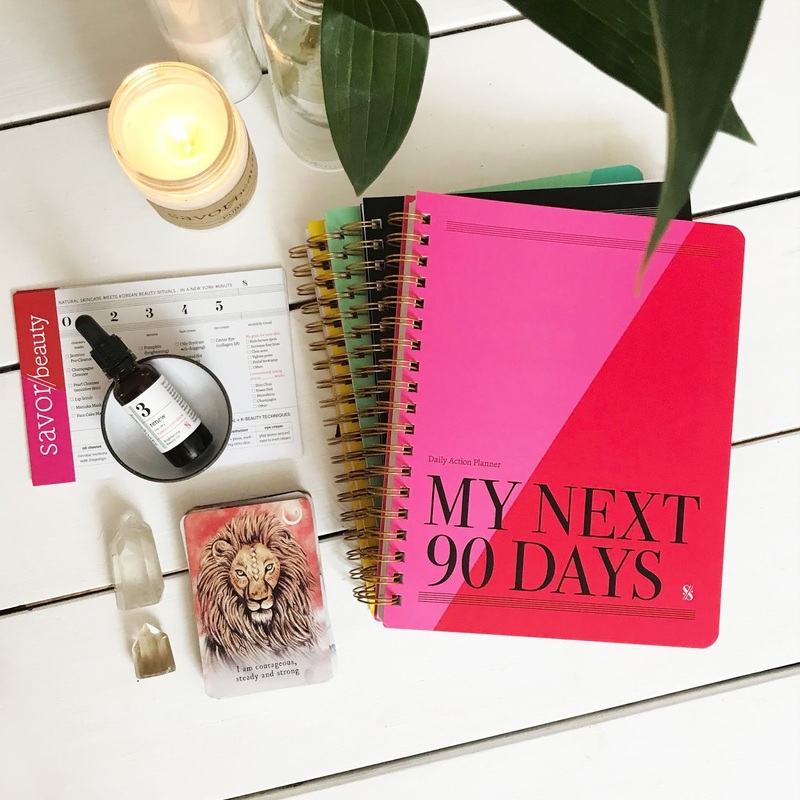 It takes the "nourish to flourish" approach and has room for literally everything you need to remind you to stop, think, rest, drink your water, plan your day intentionally, get in your prayer time, and you simply do it 90 days at a time! Everytime I glimpse it on my desk, or laying open on the coffee table, or on a stack of books where I'm working in my home office, I smile. Every. Single. Time. At the end of THIS 90 days, I will be walking out of my role as a classroom teacher and into my new one as FULL-TIME B&B owner/operator!!! My heart, of course, is alllll over the place. I'm going to miss SO much about the teaching life, primarily my students, awesome coworkers, and - yes - a dependable monthly income! But if I've ever in my life known something for certain, it's that this is the right time, the right decision. I am ready. What I don't want the next few months to be is a race to the finish. I want so badly to finish the school year out at the top of my game, which isn't always an easy task when my time, energy, and attention is pulled in such opposite directions. I want to live each day intentionally, knowing that there is purpose and pleasure in each and every one of them. And hard work. Always more hard work, right? Every morning, I glance at the list for the day, where I begin with what is Number One for every day: prayer first. This is the time of day that settles me, and helps me prepare in a calm and logical manner whatever the next 15 hours might hold. So...this super long post in essence is really all about the last two paragraphs only. In 90 days my life will once again change. I'll go through yet another "transplantation." My daily prayer is that each and every day lived between this one and that last one will be chock full of only the important, the essentials that fuel my spirit, nourish my body, and keep me in a place where I can be my best for my husband, our family, my role as a teacher and tender of young hearts, and my responsibilities in our business. Clearly I am biased towards traditional bed & breakfasts/inns, especially our very own Wildernest Bed & Breakfast :) Most of us have met the strict guidelines and inspection of B&B Registries, plus regional and local guidelines. However, because Mike and I have had several great experiences in AirBnB properties on some of our travels, plus the fact that we're listed on AirBnB, I feel I can provide a rather accurate portrayal of the major differences between the two that are most likely to affect guests. AirBnB quotes a price per night, and then the guest pays an additional 10% directly to AirBnB. There are a wide range of prices. Many times a cleaning fee is attached as well, as might be a refundable security deposit if everything is left in good condition. At Wildernest, we quote per night as well, and - because our four cabins are distinctly different sizes and types, there is also a rather wide range of prices. We do not attach a separate cleaning fee; and we don't require a security deposit on anything other than our event venue. There is, obviously, our Texas .06% hotel tax. When reserving through AirBnB, it is only after the booking that the guest is provided with the exact location of the property. Most times, this is not an issue; however, we have had a couple of experiences where we would have opted to stay closer if we had known. Communication occurs directly between the owner and guest, just as in traditional B&Bs, but the guest is generally on their own to find the apartment, house, or cabin and let themselves in. In this regard, we are not all that different. The main exception is that our exact location can - and is - given at the time of reservation. It is actually pinned on several spots on our B&B website, as well. We communicate directly with the guests and - while they all receive their door codes before arrival and usually let themselves in - we are on-site and available should anyone have difficulty and - also - so that we can personally meet as many of our guests as possible. Many AirBnB locations do not offer breakfast. They'll often leave a welcome little snack and some bottled water, but that is usually all. Some have coffee or K-cups, but some will let you know ahead of time that you'll need to bring all food items with you. After much thought, and trying it both ways, we at Wildernest have opted to serve breakfast to our AirBnB guests as well as the guests who book traditionally. We found that many times we have some of each staying in our cabins at the same time; it was just as easy to deliver crates to all four of the front porches as it was to do so to just one or two. Plus, it's one of our favorite parts of inn keeping and we enjoy spoiling all of our guests while they're at Wildernest. This next part all depends on whether the AirBnB house is a home to the owners or if it is a guest house and/or a second home. If people opt to AirBnB their main house while they are away, very often drawers and closets will have clothes and personal items in them. This doesn't bother some; to others, it is awkward. Personally, I would never stay in one that was anything more than a true guest house. While our B&B does not have closets, per se, we offer hooks for hang-ups and places to lay your luggage. We also offer luxurious spa robes for the guests' comfort during their stay. This is for our traditional B&B guests as well as though that stay with us via AirBnB. This, too, can be widely diverse in both categories. The biggest difference is that room maintenance is up to the guest while in AirBnB and even most B&Bs. We, for one, do not enter the cabins to do anything, including cleaning, unless asked or invited by our guests. We prefer for our guests - both traditional and AirBnB - to feel as though the space is theirs during the duration of their stay. If there is a maintenance issue or something that requires our attention, we are happy to show up promptly and take care of the matter. Guests who prefer daily housekeeping service are probably better candidates for hotels. These issues can honestly turn up any place. It's how the issue is handled that separates the properties. Mike and I haven't had any REAL problems in the AirBnB properties we've stayed in. As far as neatness, and even cleanliness, they've varied, but there's not been anything that has caused us to call the owner. Oh wait, yes...once we did call because the coffee pot was not working. Within ten minutes the owner's daughter was at our door with a brand new coffee pot, though! And one other time we did leave the night before we were to check out. The place wasn't really "us," plus we were just ready to get home. AirBnB doesn't require (at least they don't verify) that each property has a fire extinguisher. We - as inn keepers - have jumped through hoops to make a few guests happy. It's one of those times where "the customer is always right," even when they may not be. We've refunded partial and full refunds when we really didn't have to, but a good, solid review means more to us than taking a hard stance, particularly when most folks are nice about addressing the issues they are having. 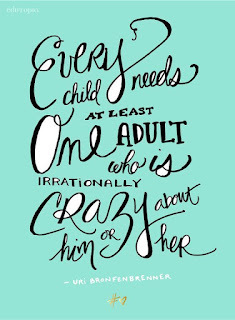 Now...having said that...we HAVE had our share of crazies. I'll just leave it at that for now. We have some stories, I assure you! LOL! We also have a fire extinguisher in each cabin. AirBnB encourages feedback and reviews on their site. If you are a guest, you begin to receive emails and app notifications from the company almost immediately after you leave the property. It takes less than 5 minutes to go through their online review process. We try to do it promptly because we know, as B&B owners and operators ourselves, feedback is your number 1 resource going forward. On the flip side, the owner also receives email and app notifications to remind us to leave a review of our guests. It offers you a place to leave the public feedback, but also a spot to leave a message that only your guest will see. In each of our cabins, we have a traditional guestbook that is signed by ALL of our guests, whether they be AirBnB or traditional. We look forward to reading these and are always so very disappointed when someone either forgets or neglects to leave their thoughts and impressions of your place. Again, it's our main resource moving forward. These reviews are used to either continue doing things as we have or look for ways to shore up things. In the end, staying at a B&B OR at an AirBnB property is our personal choice. We will opt for this route 85% of the time. There are those occasions, however, when a really nice hotel room is what we want, what we need. If you are wanting privacy and just to be another "face in the crowd," then a hotel is the way to go. B&Bs - traditional AND AirBnB - cater more to the individuals and the couples and families. While privacy can certainly be sought and found in them, trust me, your host and/or hostess is always close by to ensure that your stay is as comfortable and relaxing as it possibly can be! Life hacks for REAL women! Sister, you are not alone! Life is crazy, frantic at times, and always, always changing. Morphing into something that we've either worked ever so hard for, or something completely unexpected - that we are not prepared for. Either way, the Ya-Ya Sisterhood (aka women as a whole) need to be supportive of one another. BE that woman that is willing to fix another's crown without broadcasting to the world that it was crooked in the first place! Part of that is to encourage one another's feats in this life. A way to make way enough for all of our anticipated feats is to have a few "hacks" under our belts so that we don't get tripped up over day-to-day stuff. Real life hacks for real life women. I am in no way whatsoever an expert on this subject. Or maybe I am. Because I am just a real life woman. Not a celebrity. Not a celebrity wannabe. Not young and hip. Not yet old and wise. I'm just a woman somewhere in the middle who is embracing the realization of long worked-for dreams and - at the same time - still scrambling to leave my imprint on the hearts and lives around me. So the following list will not be your usual beauty hack list. It will not be your normal "guide for the busy career mom" list. Instead, I'm merely a fellow sister who is interested in ways to simplify my life and still take care of my body, my health, my family, and my home. If you are in the same boat as me, then I hope the following list is helpful! Learn to say no. Far too many of us struggle with saying "no" to people. 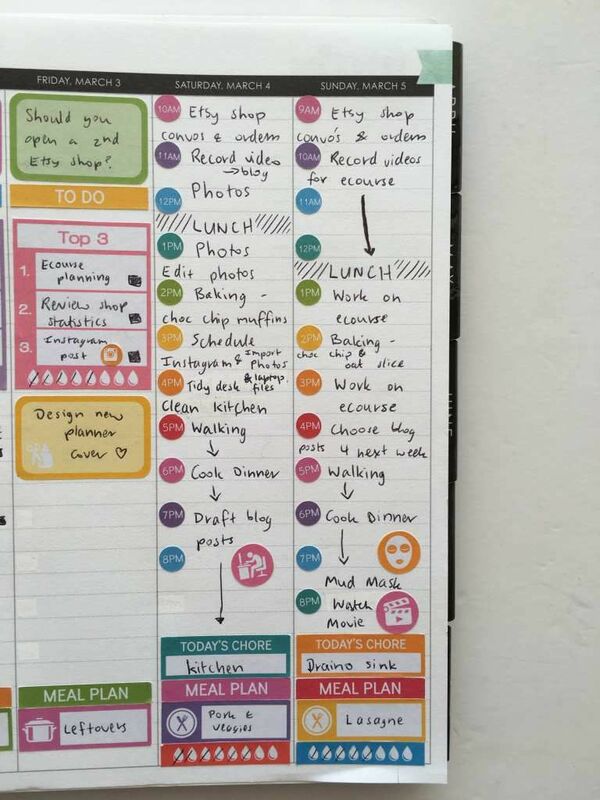 As a result, we're too often saddled with time and energy-draining tasks and responsibilities we really didn't need to add to our already stretched schedules. Learning how to say "no" - politely, but firmly - is the single most important life skill to help preserve precious time and be able to prioritize what's truly important. Flip your mattress every three months. Unless you're currently sleeping on a one-sided mattress, such as ours. A delicious, luxurious pillow-top that is exquisite and - very definitely the most impressive mattress we've ever indulged in. Yet, because of the amazing pillow-top, there is now a distinctive sag along the middle of the bed. BUT...if this isn't YOU...flipping your mattress every few months will even it out and prevent that sagging, which in turn, will save you a WORLD of pain in the form of poor posture and lousy, lousy backaches. Flipping a mattress really isn't a one-woman job, particularly a queen or king, but it's definitely worth doing; a hurting back will take a whole lot longer to deal with than finding someone to help flip that mattress! Keep snacking. One of the first things we women tend to cut out during a busy, hectic day is our food intake. Believe me, preaching to the choir here. But don't wait until you're practically starving to put food in your body. Taking long breaks between meals tends to make your body tire more quickly due to lack of glucose. This leads to a dip in our productivity level. Snacking every couple of hours on something nutritious and delicious is not only good for our metabolism, but also helps to keep our energy levels higher, enabling us to work at our optimum. PLUS...it prevents us from binging on unhealthy choices due to extreme hunger. Keep salt, pepper, etc in your drawer at work. Speaking of eating...despite our best intentions, many of us end up eating a lot of our meals at the desk. I'm not the only one who does this, am I??? Because of this, I've learned it's so helpful to keep a few essentials like plastic ware, little packets of salt, pepper, ketchup, herbs, etc. in my drawer at work. (I also stash a few packets of low-salt peanuts and single serving JIF peanut butter.) You never know when you might need them and nothing is worse in the middle of a stressful, hectic day than to open your lunch only to discover it is going to be bland just because you didn't have time to run to the cafeteria or on-site cafe for some basic things that add life to our food. Do not incessantly check emails. This one is tough for many of us. I get my email via my computer, but also by way of my phone AND my fitbit. It's really touch to ignore emails and - I'm not necessarily saying to do that. But I AM promoting the thought that email should be checked two - maybe - three times a day at max. Stopping what we're doing every time we receive a new, incoming email distracts us and leads to loss of focus on the current task, which - in turn - means less productivity. Unsubscribe from useless lists. I finally took time a couple of weeks ago to go through my "spam" mail and unsubscribe from the countless email traps I had fallen into over the past several years. No, they don't "share" your information; they merely email you 7,246 times a week. Am I right, or am I right? I also went into my Facebook settings and withdrew from "groups" that no longer had meaning to me. Utilize shower time. In a perfect world...wait...actually this really DID use to be my life...I would spend much-needed time pampering my skin and my body. After all, we DO only get one in this lifetime. But when life is busy - which is pretty often for a lot of us - every single second counts, which is why it is important that we make sure to utilize our shower time! :) Keep a body scrubbie in the shower and regularly exfoliate from tip to toe, clean AND cleanse your face, don't be afraid to use shampoo or conditioner in exchange for shave gel. It really does work Just. As. Well. It's also okay to apply moisturizer that you would normally do later in front of the sink - while IN the shower. Maybe most importantly, before you emerge from the shower, stand for a few seconds, if not a few minutes, and let the water flow over your body. Close your eyes, and relish the hot water, the feeling of having cared for your body. Use two-in-one UV products. When it comes to making your beauty regime easier, using two-in-one products is a must. Pick a cream that moisturizes AND offers UV protection, or opt for a tinted moisturizer that, both, cares for your skin while covering minor blemishes and redness. When life is at its busiest, it's the little things like these that can make all the difference. Your hairdryer. I've learned a trick or two in my 50 years on this earth and one of those is that your hairdryer is for waaayyyy more than merely drying your hair. Hmmmm....For one, it can be used to help break in new shoes. Especially heels, y'all!!! Just pull on a thick pair of socks, slip into the shoes, and apply the heat from the hair dryer to the tightest corners or spots in your shoes. Keep repeating until the shoes fit comfortably. Ice Cube Organizer. Okay, admittedly the Container Store, Target, and - of course - Amazon, sells all manner of things organizational-wise. But if you're interested in saving pennies (like I am!) and it's NOT all about "looks", then consider an inexpensive ice cube tray. You can buy two for .99 cents at Dollar General, ladies! These hold rings, trinkets, hair ties, etc... They fit nicely into ANY drawer and can help make reaching for what you need SO much easier! I hope this list of life hacks helps in some way. If you have another, PLEASE comment below! We ae in this together, and ALL suggestions are welcome! A couple of years ago Mike and I jokingly (but also seriously; does that make sense?) said that our brains simply could not handle any more new technology when it comes to social media. I flourished in all that was Facebook, while he held out many years before finally throwing in the towel and creating an account. But the others...Twitter, Instagram, Pinterest, Snap Chat, and - now - even Marco Polo, were just too much to keep up with. Never mind the fact that I truly do not think I have the right brain cells to navigate Snap Chat. It's hysterical watching my students snap all day and work those phones like a boss with one hand, while I deliberate over each and every FB post and carefully and thoughtfully choose each photo for Instagram. I joined Twitter a number of years ago, broke up with it, got back together with it...a few times, but then ended that relationship for good. To quote Taylor Swift, "We are never, ever getting back together!" A while back when we decided that I would most likely be running the business full time after this school year, and that - if that was going to be the case - then I needed to try to grow it even further, I knew I needed to really throw myself into Instagram and Pinterest. I researched like a doctoral candidate, learning why the heck a hashtag was so almighty important, and how to attract the "right" people to my pins. I have to say, I thought I had come. So. Far. Until I took an online social media workshop for businesses and realized that I. KNOW. NOTHING. I learned about Tailwind, which helps you coordinate, schedule and then pin to your boards, and Insta pre-sets so that you're Insta feed looks "uniform and inviting." Now, I realize that some of you probably are laughing at this point and saying, "Oh, she's so funny; she didn't know about TAILWIND?" 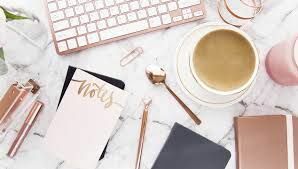 In addition to not knowing about it, I quickly realized that learning about all of the available technology that is so handily at your fingertips to help you gel your blog and your business website with your Instagram, Facebook, and Pinterest, is like going down a rabbit hole. A very deep rabbit hole! The last week or so I've found that I'm alternately fascinated and elated with the possibilities, but also bewildered and frustrated. LOL! Please! All of you that have any tips for me at all, feel free to drop a comment!! I am wife, mother, Nana, teacher, writer, daughter, friend, B&B owner, and Child of God, not necessarily in this order. 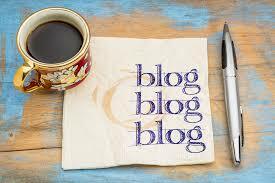 I began the blog and titled it Transplanted Gal after moving to the country after a lifetime spent in the DFW Metroplex. As the years have rolled on though, the term means much more to me, and has much more to do with what is going on inside of me than where I am geographically. I'm a beautiful mess, a work in progress...a Transplanted Gal. shop ndulge and give hope!